It is probably a bit of a rarity today – a 4yo (about to turn official 5yo in a few days) mare that has qualified as a very early 3yo, shown promise, handled and jogged up regularly, been given time to develop, and has no issues… But has only had 4 starts, including a very eye-catching 2nd, and some lousy draws and bad checks so far combining to thwart her. She’s co-owned by myself and Kym Kearns, and she’s for sale. As they say, “ripe for the picking” with physical maturity and strength, bone density, great manners….and experience is all she needs. She’s racing tomorrow night at the Kumeu meeting at Alexandra Park, another back-draw row in a field where second line on the pole may or may not be great. She’s a horse that is still learning ring craft. But its worth a watch if you are interested in buying a mare that has real ability (check out her 2nd in her first start and the only start where she has had any luck at all), great connections, and is lovely to handle, willing to learn, competitive type. That pretty much sums up the horse we have developed from a weanling to a mare, called Elect To Go (aka Reddy). Elect To Go – mare by Gotta Go Cullect x Innsbruck. 15.2h. Very closely related to Pachacuti ($190,314 , 21 wins to date). Half to Tirol’s Sallance ($84,000) and three-quarters to Sovereign Faith (11 wins, $72,000 to date). Bought from Alabar as a weanling. Qualified as a very early 3yo in 2013. Basically just had a series of preparations (as part of Kym’s learning as a trainer) and some spells over the next 18 months while Kym concentrated on racing another horse. If you are interested, please contact Stuart Valentine as the agent. Great to see a convincing win from Wick tonight. The Panspacificflight x On The Double 3yo gelding looked like the penny is really dropping. And a bold drive by John Dunn to take the initiative. Congrats to the owner and breeder I.L. Bennett. I often talk about horse pedigrees and breeding. But for me Wick is the meeting point of two lines of genealogy – one that involves horses, particularly Panspacificflight (a sire I have flagged up many times previously) but also my own pedigree. Wick is the place where my Scottish ancestors came from. Wick is in the north of Scotland, and where my own maternal line lived before their journey to New Zealand. Tracing my own breeding back, I visited Wick on a trip from New Zealand almost 20 years ago, and I remember it vividly. Icy cold wind, the smell of salty sea and the scorch of a strong whiskey going down my gullet. It was a part of the journey me and my partner at the time took to a visit our roots. She was following her Nordic/Viking tracks across Scandanavia to north Scotland and Ireland, and I was following my roots to Scotland. We ended up in the Orkney Isles, following ancestrial connections, stone circles and puffins. Very, very cold but pretty cool. I could understand why my ancestors left Wick. They had been pushed into to herring fishing ports like this by the complex history of Scotland and England conflicts and land grabs, a deed later repeated when both English and Scottish migrants arrived in New Zealand, a British colony, and did much the same to the indigenous Maori people. 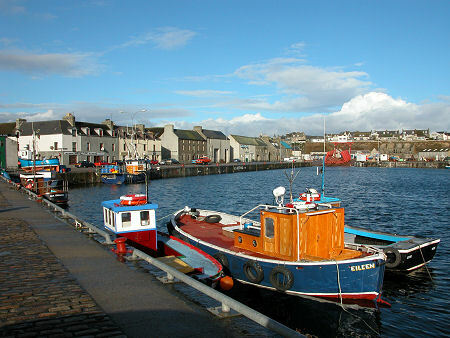 Visiting Wick’s older town, and particularly Pultneytown, was my main interest – tightly close brick buildings crammed into narrow winding up-and-down streets, and of course the Old Pultney whisky distillery – yes, single malt whiskey was another love of mine that dissected nicely with family connections. But the distillery was closed on the cold weekend day we came into Wick, as was much of the town. We had fish and chips (imported fish from Norway) from the chippy down at the wharf which was called Bremners Fish Shop (my family name), and we sat in the rental car with the heater on, eating the chips and drinking the whiskey we had bought elsewhere, just trying to keep warm. All of that comes back in a rush when I saw Wick cross the line tonight for a really good win, a lovely drive. Also was cheering for Panspacificflight and those who have had faith in him as a sire. Really adding value, great breeding. In my previous blog I noted Big Jim’s own maternal family in one of Shadow Play’s good 2yo filly performers. Now Big Jim’s first winner happens to be another 2yo filly who brings some familiar names to the match from her mother’s side. From Alabar’s e-newsletter: Big Jim has sired his first two year old winner with Icthelight Hanover taking out at $18,000 Ontario Sires Stakes Grassroots division at Mohawk in 1:54.8. The two year old filly sprinted home best to get home in a tight finish. Fellow Big Jim daughter Bernadette dead heated for second to make it a quinella for the son of Western Ideal. Wheres Sarah, the grandam of Icthelight Hanover, is not just “some Sarah somewhere” – she is that Sarah, and she’s in the same place as she sits in the pedigree of Somebeachsomewhere. Wheres Sarah was bred to Beach Towel to produce the dam of Somebeachsomewhere, and was bred to Artsplace to produce the dam of Icthelight Hanover. That mare (Ifyoucouldcwhati C) was a very good racehorse, earning almost $350,000 and going 1.50.2, whereas the dam of Somebeachsomewhere (Where’s The Beach) was an unraced mare. Overall it is a solid maternal family, that certainly seems to be nicking well over time with some speed sires to keep the line on the rise. And maybe Big Jim is going to be one of those. See here for a good review of Somebeachsomewhere as a sire and brief review of his maternal line (on Harnesslink). Kays Shadow (Shadow Play x Pink Is Perfect) took one of the season’s fastest times for 2yo fillies in North America with her 1.54 debut at Mohawk recently, as Alabar reported in its email newsletter. (This appears to be quickly usurped by much quicker times on 6 July in a race where she came second). A check of her pedigree had me intrigued – it rang as few loud bells, and of course it is the same maternal family as Alabar’s other new-ish sire Big Jim. It is one of those pedigrees that epitomises “balance” and I don’t mean just the so-called delta affect. What I mean is that almost every line is contributing a couple of important things, paying its way if you like. It’s full of maternal lines that have origins in speed and heart, and broodmare sires that are real “engine room” contributors. And there is a mix of double ups but also complementary matches, i.e. lines or individuals that seem to add value to each other. Then add a bit of personal brilliance from the siring line, and voila! Fingers crossed she will be given time to develop. Below is the proposed new scheme currently out for consultation for members of New Zealand Standardbred Breeders Assn, closing 31 July 2015. The proposal was developed by the North Island branch of the association. The intention is good, but the scheme is diverting scarce funds into something that does not reward breeders and breeding success. I’ve mentioned before my concerns about the way proposals like this are developed and decisions made. There are three issues I want to raise (independently of the merits of this particular proposal). Proposals seem to arise and be considered in isolation. There seems to be no effort to get agreement on the overall objectives (criteria) and then to canvas some options. This ad hoc approach to significant commitments means we end up with a mix of activities that do not hang together well, and the reasons for pursuing one and not others is not transparent. Consultation is not a forte of the NZSBA. A significant proposal like this would ideally have been a feature of presentations/discussion at the breeders forum earlier this year, but it was hardly mentioned. When the issue of breeders credits/bonuses was raised in a short “brainstorm” session, the session facilitator (John Mooney) put it aside. The longest topic for discussion at the forum was on conditioning of races – a topic of interest more to owners than breeders. Even the development of the proposal by the North Island Branch seems to have been done very much “in house”. I understand that I am a member of that branch (as a member of NZSBA) but I am unaware of any effort made to consult with branch members before putting the proposal forward to the national body. The bias towards schemes that benefit owners rather than breeders concerns me. This was clearly apparent at the forum mentioned above. The argument is that a high percentage of breeders are also owners. Surely that begs the question: Why aim to support a percentage of breeders when you could develop schemes that support 100% of breeders, just by ensuring the benefits/credits return to direct to breeders rather than to owners? Specifically, my objections to the proposed scheme is that it ignores the very real plight of current breeders. It may be more effective (and quicker acting) to increase breeding numbers by targeting current breeders (especially those in the 2-5 mare type of group which is a significant percentage of breeders) rather than invest in potential owners of mares who may or may not choose to breed from them. The current 2-5 mare breeders are hobby breeders on the cusp of being more commercially focused. In the current climate, they have to choose each year to drop breeding numbers or increase them, very much based on perceived risk (usually financial). They cannot retain ownership of all the foals they do not sell. That becomes a very high cost for them. So they will reduce their breeding instead. They are already knowledgeable about and interested in breeding. They may need only a small but tangible “knudge” to add a couple more mares or keep breeding from their total number of mares, or to upgrade some of their mares, or go to more commercial sires, or to feel able to retain a filly foal for racing and breeding. Accumulating service fee “credits” based on breeding success would be a real boost and cost-saver for smaller breeders. The biggest flaw in the proposal is that the rewards of breeding a winning mare do NOT go back to the breeder of that mare, but instead will be assigned to the racemare and her current/future owner. In many cases, this will no longer be the breeder. Therefore a successful breeder may watch a racemare accumulating credits for a future or current owner, and meanwhile be downsizing his/her breeding band because there is no incentive or reward coming back. Why not reward the mare who foaled the winning racemare? Or the breeder who made the decisions and put in the money and work to produce the racemare in the first place? Encouraging owners to buy, race and breed from fillies is a very valid objective – and the same North Island Breeders Assn has already put in place an ownership syndicate to test this route out. Originally intended to have two fillies raced by the syndicate, the numbers applying to join were too low to support that and so there is just one filly now racing, Everlasting Grace. It is a good scheme and it will be great to see how it translates from the owning/racing syndicate to the breeding side of things. Let’s give that concept a chance, or develop it further, before adding yet another scheme that focuses on racehorse owners. Looking long term is something I support. But we need to balance that with something more immediate to recognise the situation breeders are in right now. Some tweaks to the proposed scheme would give it a more immediate benefit to current breeders and provide an incentive to new breeders coming into the industry (whether they are owners or not). Then the $250,000 to $300,000 cost will be a true investment in standardbred breeding, and a significant “pull factor” in attracting and retaining breeders. 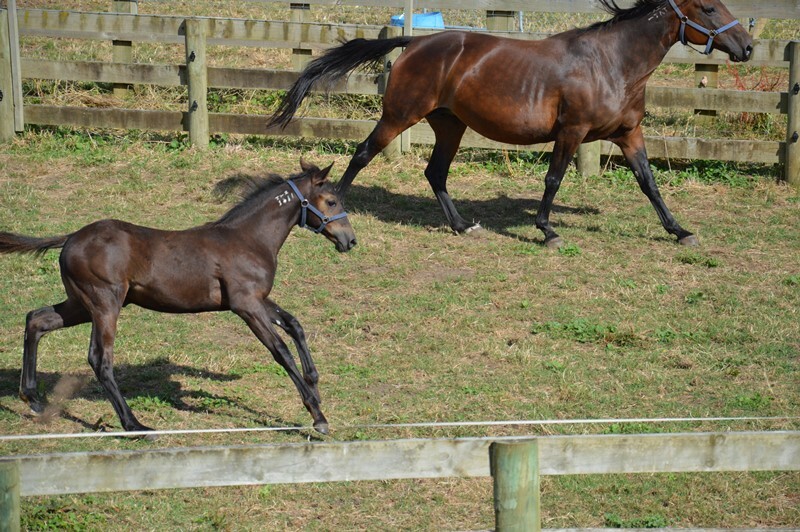 North Island Breeders’ Association Proposed Broodmare Incentive Scheme – Submissions sought. This paper outlines a proposal for a breeding initiative based on the Western Australian EPONA Mares Credit Scheme. The beneficiaries of the scheme will be the mare owners, should they choose to breed from the mare once retired. New Zealand Standardbred Breeders Association are seeking feedback from industry stakeholders on this proposal, all submissions welcome in writing by emailing kiely@harnessracing.co.nz or posting to PO Box 8270, Riccarton, Christchurch, 8440 by 31st July 2015. Assumptions have been made based on three years analysis of foal crop data from 2002, 2003, 2004. Establish a fund for payment of stallion service fees on a LFG basis to owners whose mares have accumulated redeemable credits from racetrack wins in New Zealand. Estimated cost of scheme is $250,000 per annum based on 65% of winning fillies and mares going to stud. No payment from the Fund is required until the mare is served and tested positive 42 days. Improve prices for fillies at weanling and yearling sales as buyers look to reinvest in potential broodmares. Real Desire 2yos – adding to the mystery or providing an answer? Yesterday I went to the Alexandra Park workouts and witnessed a big bunch of Real Desire 2yos performing very well. These are from Real Desire’s biggest crop, born in 2012, before his numbers once again dropped off dramatically and he was retained in America by his owners. I have been a Real Desire fan for some time, and that is a mix of his quality pedigree, his own performance and his ability as a sire to produce that exceptional talent factor in some of his foals. He is not a sire of early speedy types – and yet he has been and can be. But that is almost his downfall in terms of his siring career in New Zealand, because some of the exceptional talented 2yos from his first couple of crops – flashy would be the word – led people to believe that he was an “early type” sire. High expectations were soon disappointed. Some years ago I wrote an article about Real Desire (part of a longer, joint series with Australian breeding expert Ray Chaplin about Life Sign’s legacy downunder as a sire). In that article I said: Real Desire’s ability to be a quality sire that can leave speed sets him apart from the other sons of Life Sign who have been offered here. I still hold to that, but the path to tapping into what he offers as a sire has been a winding and bumpy one. Why? Firstly his numbers have been very up and down. And why is that? Because his progeny have been very hard to read and siring career here has been fragmented. And at the start, we read him wrong, and that led to some of his more precocious types being pushed early and breaking down or switching off. He started off with a hiss and roar with 202 mare (152 live foals) from his 2007 season at stud, and then did not return the following year. That wasn’t a show stopper as the second season and even third season can drop quite a bit usually as breeders wait and see. But when he came back, he was up against some sires who were really hitting their straps commercially – Bettor’s Delight and Mach Three at Alabar in particular were sucking a large number of best mares out of the pool. However Real Desire’s first crop produced such eye-catching talented 2yos like Let’s Elope and Cowgirls N Indians, so his 2011 stud season was a lot more popular, with his top number of 212 mares (for 159 foals born in 2012). And then it was clear that those precocious 2yos were a minority, and the many with ability and talent actually took longer to mature. Some of those early ones broke down or went off the boil for a year or so while they developed more strength. Others were not given the opportunity to develop if they showed nothing early. Later some of the more mature Read Desires started to strut their stuff – Freespin, Who Dares Wins, Voluntad, Spirit And Desire, All Star Man, more recently Lilac Desire finally hitting a good patch – and Let’s Elope kept going at the top level in Australia. But by then, it was too late. Many Real Desires have a physical type that needs time. I think this is coming from his scopey Life Sign influence in terms of conformation, and the need for time to add the physical and mental ability to support speed. They can be quite gawky and awkward in their gait initially, and some can be a bit nervy in temperament and not settle well in their races. But they can have real flair and real speed, especially when saved for one last run. At their best, they are very exciting horses. Currently his 2yo registered-foals-to-qualifiers ratio for New Zealand-breds is around 17% and that will rise further before the season closes off at the end of this month. And his current number of 2yo winners (currently only Real Torque and Ultimate Desire) may well get a boost. None of that means Real Desire is a sire of natural 2yos. But in my book it does indicate that he deserved more of a chance than he got at stud here. It wasn’t Alabar’s fault, it is just the crowded and fickle market and the pressure for sires to produce a complete package of a horse at an early age. It is highly unlikely he will come back to New Zealand now, but I will follow his “last hurrah” of NZ-breds closely to see how they develop over time. And for breeders, there are some nicely bred mature Real Desire mares that may be a good option for crossing with some of the commercial sires we have who can perhaps add a bit of early robustness and strength to the foal. The USTA crosses of gold information indicates that Art Major, Well Said, Western Ideal, and Western Terror are some sires that appear to have crossed well with Read Desire mares. The Western Hanover and Western Ideal cross also seems to work well in the other direction (i.e. mares bred to Real Desire) – note that this reverse click is not always the case for many sires. Race 3 – Vega Star (Real Desire x Star Of Venus) – 1st, Real Lucky (Real Desire x Lucky Pocket) 2nd. Qualifier heat: Race 5 – Diamonds Forever (Real Desire x TA Sportsplex) 1st, Cerberus (Real Desire x Culley’s Asset) 2nd, Bull Hayes down the outside (Real Desire x Dromsally) 3rd.